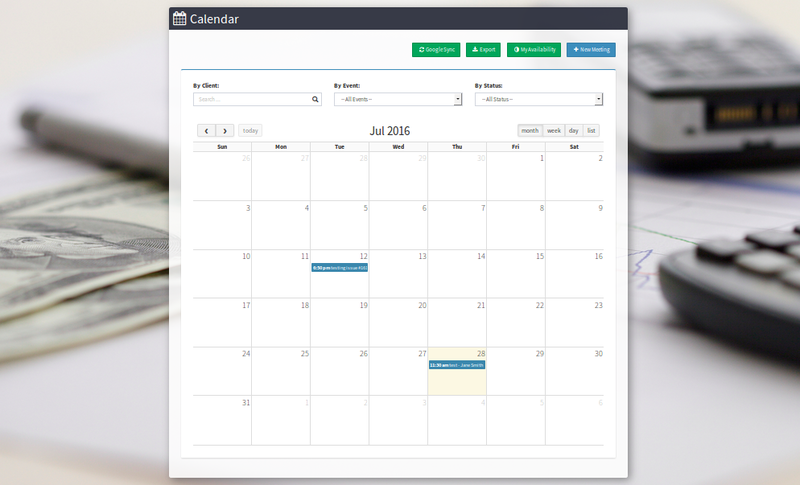 The Coaching Calendar displays coaching sessions as well as client goal due dates. 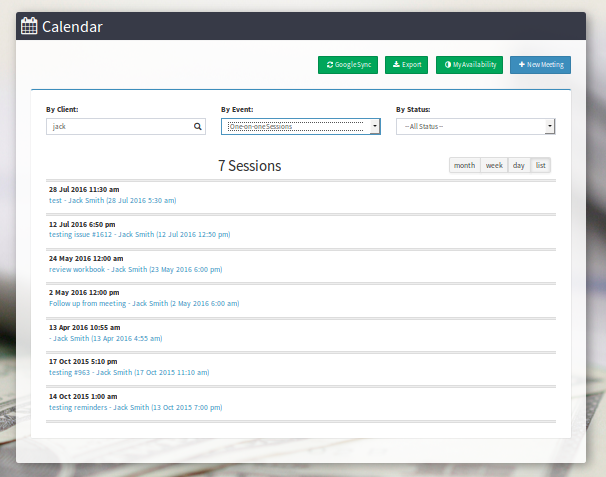 You can easily filter and sort through your calendar entries by client name, event type, and status. 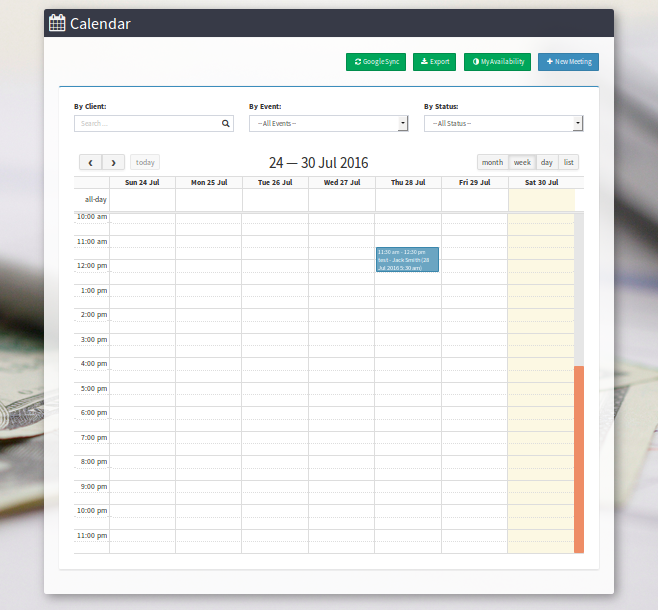 You can also view your month, week, day, or just as a list. You can drag-an-drop events and goals to reschedule them and send invitations and view participant status. 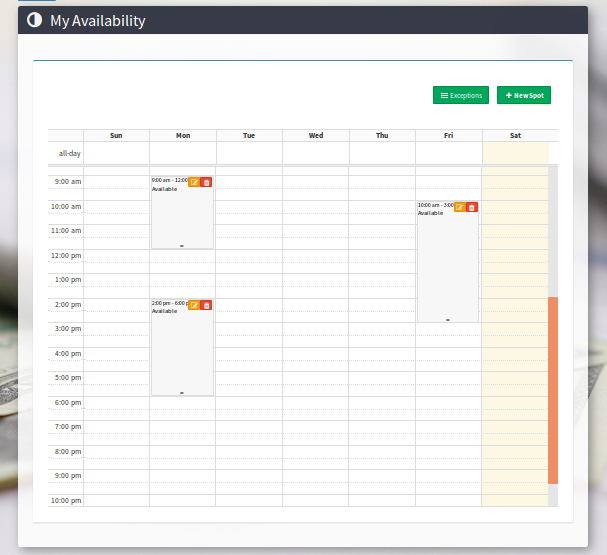 With the Life Coach Office Calendar you set your availability and allow coaching clients to schedule their own meeting times with you. All meetings are automatically liked with the client’s coaching journal. So coach and client can capture and share notes on each meeting. This feature makes your meeting prep a breeze. 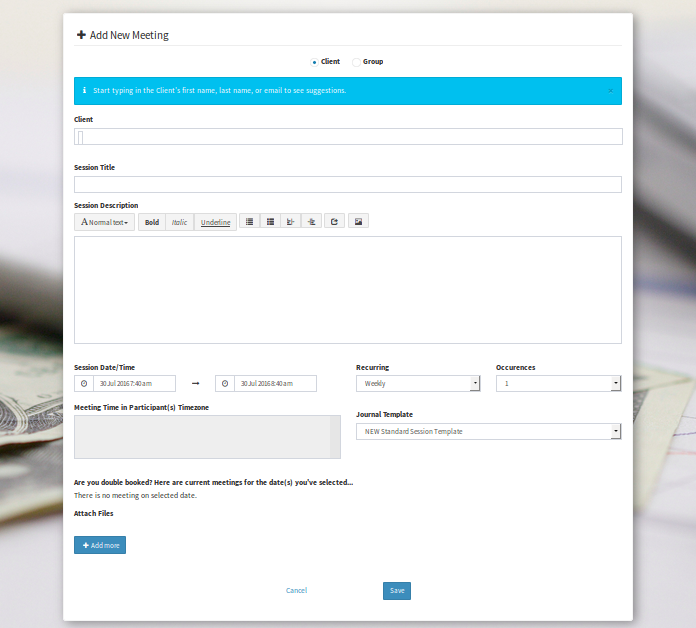 Clients are automatically reminded of meetings 1 day before the meeting as well as 1 hour before the meeting. They are also reminded to fill out their coaching journal after the meeting. You can synchronize your Life Coach Office Calendar with your Google Calendar (it’s currently a one-way ‘push’ to Google). 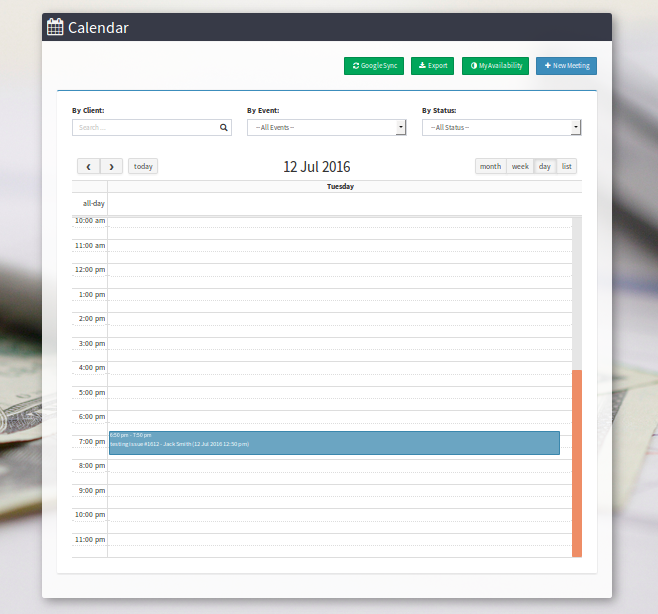 You can also export your Life Coach Office calendar as a .csv file.